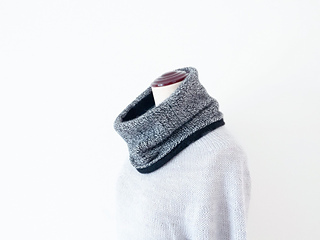 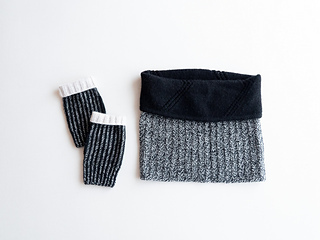 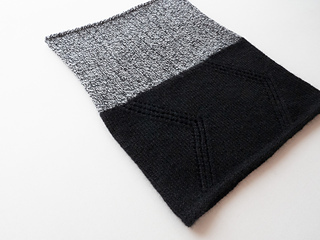 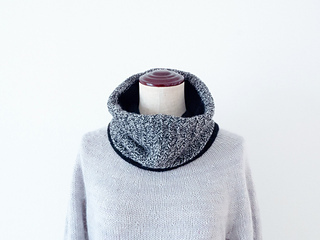 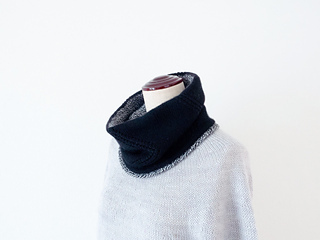 Tiny Echo is a very simple but useful double-sided cowl with a lace pattern, worked in the round in two colors. 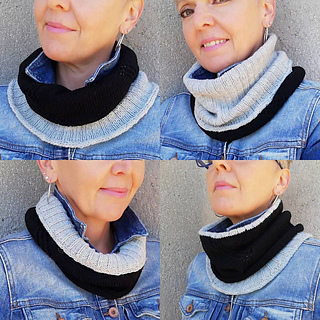 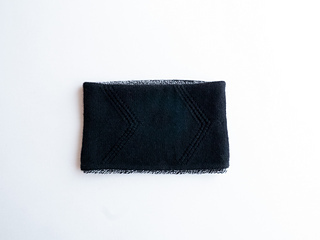 It can have four faces and you can wear it in many ways: fold in half, inside out… Find your favorite style! 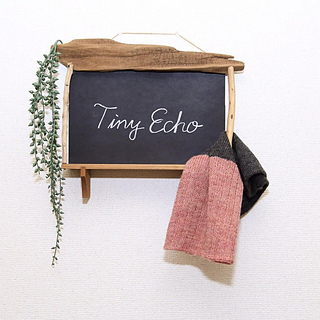 Check also manekko, a variation of Tiny Echo.